It’s that time of year again! The New Year is upon us and everyone has the opportunity to make a fresh start in some area of their lives. While many people make a resolution to exercise more or eat a better diet, why not do something different in 2019 and resolve to have a healthier smile? And since most dental insurance benefits renew January 1st, you may as well take advantage of them. After all, it’s a “use-it-or-lose-it” situation, so if you don’t use the money that’s been set aside for your dental care, it will be gone at the end of the year. Keep reading below for tips on how to maximize your benefits and find out what insurance usually covers! Cleanings, X-Rays and Exams – At the very least, everyone should be scheduling regular checkups since they’re considered preventative and are typically covered at 100%. Most plans cover 2 checkups per year, but more may be covered during pregnancy or for patients who have gum disease, diabetes or cancer. You might also get 100% coverage for fluoride treatments, which are an excellent way to prevent cavities. Gum Therapy – A special type of cleaning called a “deep cleaning” treats gum disease and is usually covered at 60%-80%. Fillings and Root Canals – Fillings and root canals are also typically covered at 60%-80%. It’s a good idea to start by looking at your plan to determine the amount of your deductible and see if you’re responsible for any co-payments. 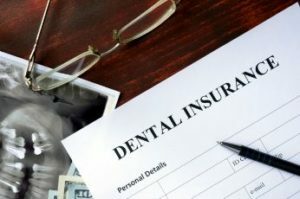 Navigating dental insurance can be overwhelming for many people, so don’t hesitate to ask a dental office for help. Also, if you’d like a more specific idea of what a procedure will cost, a dentist can file a preauthorization beforehand. This is a formal breakdown from your insurance company of what they’ll pay so you won’t have any surprises. And lastly, don’t forget that your plan has set aside an annual maximum (usually $1,000-$3,000), which is the total amount they’ll pay for your dental work over the course of the year. It just makes sense for everyone in the family to use this money instead of losing it, so don’t forget to schedule before the year passes you by! Dr. Chris Long is a family dentist who is dedicated to providing his community with outstanding dental care. He wants to make it easy and affordable for everyone to achieve great oral health and is in-network with many insurance companies to accommodate as many patients as possible. If you have any other questions about dental insurance, you can contact him via his website or at (972) 775-3192.